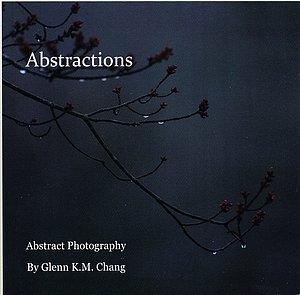 This is a book of some my abstract photographs that I laid out and edited and published through Blurb.com. Abstract photography often focuses on just shapes or colors in an image. In this book I also look at subjects taken out of context, patterns, texture, the reflective quality of light on objects, selective focus, and how our perception of an object changes at different scales. Ultimately, this book is a study of human perception, how our minds react to and re-interpret what our eyes see, and the mysterious process by which these abstract images are imbued with an artistic quality and appeal. You can purchase the book directly through Blurb.com by clicking on this link. You can also purchase a copy signed by the artist through this website. Click on this link to go to the gallery page, and click the "Buy Now" button.